Yesterday in my post on "muscle memory" I described how the brain learns a skill and that every bit of that memory resides in the brain, not the muscles. A key insight is that behavior change causes physical changes in the brain; a unique neural pathway is established that enables the pattern. Another take-away is that the process of connecting the neural pathway takes a lot of repetition and time.Translation: real commitment. But that much explanation leads to other questions. What if you want to unlearn a skill? What if you're like Charles Barkley, the Hall of Fame basketball player with the cranky golf swing? Or Shaquille O'Neill, the big man who could never cure his awkward and ineffective free-throw stroke? Like these athletes who tried to reform old habits - with mixed results - are you doomed to live with your old way of doing things forever? In other words, how do you change a behavior pattern? How do you improve the way you do something? Is it possible to replace a bad habit with a positive one? First, we use terms like skills, habits of thought, behavior patterns, traits and strengths. But to the brain they are all the same thing - a way of doing something. Second, the brain enables behavior two different ways. If the behavior isn't a familiar, ingrained pattern it uses "brute force." If here's no "hard wiring," no neural pathway that makes the doing seem comfortable, effortless and automatic, the brain works overtime to engage all the relevant perceptual, cognitive and behavioral areas to get the job done. In other words, a lot of concentration is involved, and the end result may be less than optimum. 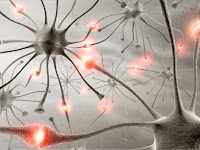 However, with enough repetition, the brain will cause the relevant brain cells to connect with each other in a neural pathway, and the task can be performed without thinking about it. Only then does the step-by-step behavior become a skill, habit or pattern. Third, the ability of the brain to wire itself to implement behavior patterns is necessary for survival. If the brain couldn't do this, when you got up every morning you'd have to learn how to do everything all over again from scratch. And of course this is impossible. If that were the case, you wouldn't survive. Fourth, not all of your ingrained behavior patterns are good for you or the people around you. For example, an addiction almost always involves ingrained behavior patterns. Ineffective skills are behavior patterns. Dysfunctional trends such as the inability to control anger are behavior patterns. In fact, changing or improving behavior patterns is the whole point of personal and professional development. Tens of billions of dollars are spent every year to correct inappropriate behavior patterns. If a neural pathway is ingrained for life, as I said in my previous post, then how can you unlearn it? The answer is - and I say this without humor - with great difficulty. Because you don't actually unlearn the old pattern. The brain doesn't have a delete key. What happens is you rewire the old pathway or you create a new pathway that exists alongside the old one. And while this isn't easy, millions of people every year overcome addictions, acquire skills, improve strengths and correct problem habits. How do these people do it? I like to use the analogy of Interstate Highways. Sixty years ago, my family piled into our '51 Mercury and headed west from Missouri to visit my grandparents in Nevada. The best route available was a two-lane road called Route 66. Today, roads like these have been replaced by modern four- and six-lane Interstate Highways. Interstates are a far better solution to long-distance travel by car. As a result, the old roads are no longer used much and have fallen into disrepair. The brain works the same way. As we learn new behavior patterns, old pathways and linkages are replaced with new ones. In a real sense, the brain rewires itself. It upgrades the old wiring or replaces it with new wiring, depending on how different the new behavior is. We use the new pathways because we enjoy the benefits that result from using them. After decades of not being used, the brain connections involved in old behaviors aren't refreshed with frequent use. So as people age, some of these old connections can atrophy. Like old Highway 66, stretches of it may still be in your brain, but it's hard to locate it on the map anymore. But like highway engineering, building these new super-pathways in the brain is expensive. You really gotta wanna. Because in the early stages of ingraining a new skill, habit or pattern, what you're trying to do will take concentration. It won't feel comfortable, and you'll get mixed results. With all this effort and frustration, you'll be tempted to fall back on your old way of doing things. And if you do, you'll lose ground on improving your behavior. Many, many people fail to change a behavior pattern for this reason. It takes a lot of motivation and diligence to put in enough practice. So maybe that's why Shaq still can't shoot a free throw consistently. And why Sir Charles still has trouble hitting a golf ball. Even though they put in a lot of practice, they probably didn't stick with it long enough. The strangeness of the better way caused them to fall back on their old form. But if you're like Tiger Woods, who has changed his swing twice in his career, you can put in enough practice to make it happen. Or if you're like my brother-in-law, who overcame alcohol addiction and hasn't had a drink in decades. Or my best friend, who used to be a Type-A NASCAR-wannabe urban driver, but who now cautions me on the fine points of defensive driving. Like millions of people, if you really want to change your behavior, you can do it. Just don't make the mistake of thinking it will be as simple as an insight and some good intentions. Some feedback, a training course and a couple coaching sessions are great, but they won't do the job. If you really want to improve, be prepared to pay full price over the long haul. That means repeating the desired behavior so many times that it becomes second nature. Knowing how long the journey is will help you maintain the commitment you need to follow through all the way to success. In addition to replacing bad habits with new good ones, I have a couple of other techniques, which may or may not be any good, but here they are. One is reframing, from NLP. When you think of the old habit, imagine yourself doing it in a small, black and white, grainy, old image, with no sound. Make it seem more and more distant. Now imagine yourself doing the replacement habit, in full living color, 3D, hi-def surround sound, with scents, warm temperatures, and friends nearby. When the old habit comes to mind, briefly sit it in the black & white image, but then spend much more time thinking about the replacement habit, in full living color. It's a mind trick, but just keep repeating, whenever the old habit comes to mind. The other trick is practice the new habit in many ways. Not only do the new habit, but from time to time, imagine doing the new habit. At other times, write about doing the new habit. At other times, talk about doing the new habit. At other times, compare doing the new habit to other fun things. At other times, think about the new habit and friends, or the new habit and successful other things you do. Associate the habit with many fun things, and try to experience and remember the new habit in many different forms of media-- this gets the new habit wired in several places in the brain. Mental rehearsal is actually a mainstream method used by many athletes and there's no reason you couldn't use it effectively to reinforce any habit or skill. Thanks for mentioning it, Sean! The twitter quote you RT'ed the other day sums of my day, or at least what I am attempting to accomplish. Do I feel uncomfortable? Yep. Do I feel the urge to see instant results. Heck yeah. But the reward of living a stress-free life is worth it. Or at least a life where I can release stress quickly and effortlessly. Great article! Just like everyone says, practice makes perfect.